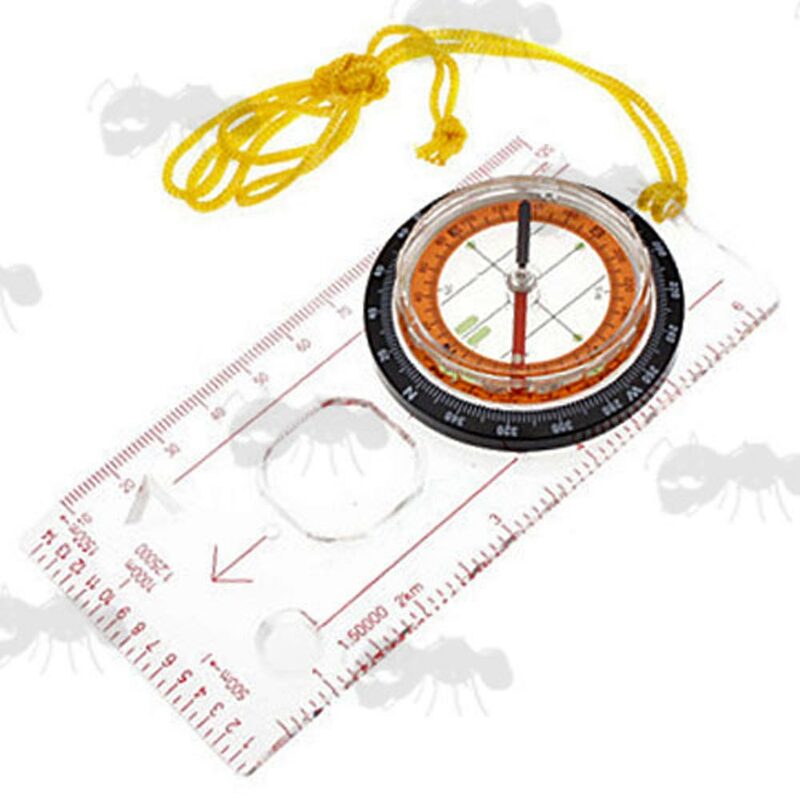 Base measures 70mm long x 48mm wide. 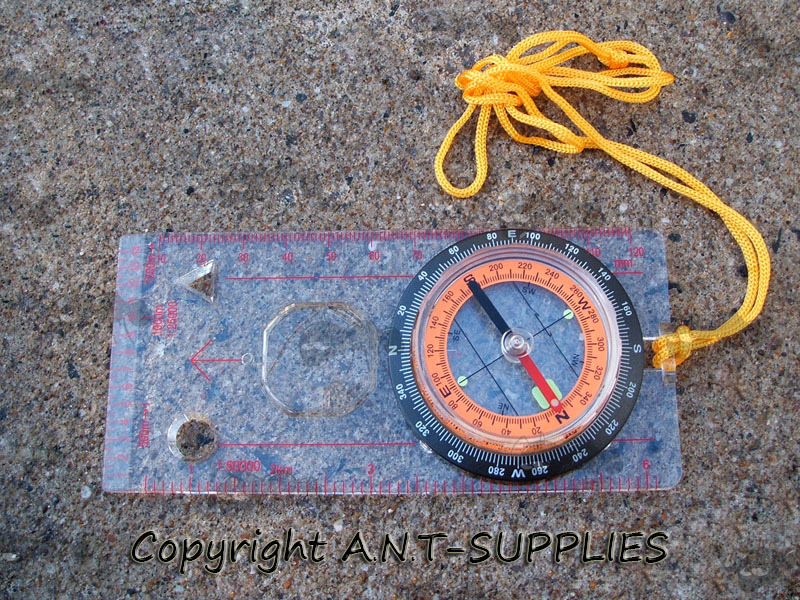 Base measures 127mm long x 60mm wide with built in magnifier. 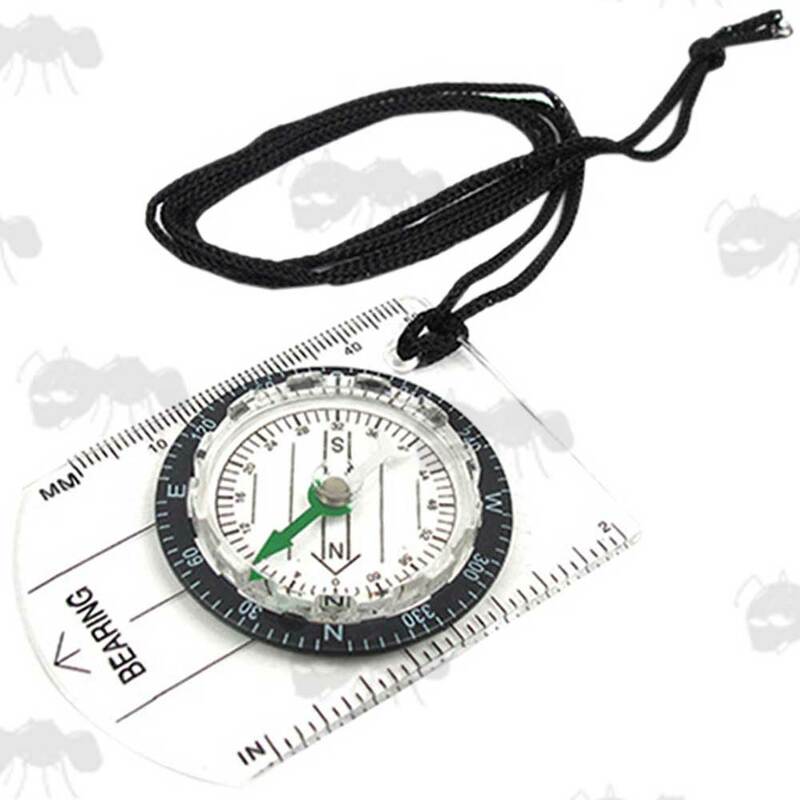 New military style map compass with necklace. Graduated in millimetres and inches. Complete with a cord lanyard.